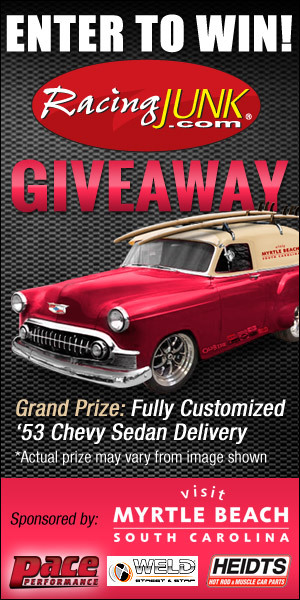 RacingJunk.com and Visit Myrtle Beach South Carolina have your chance to enter to win this fully customized and restored 1953 Chevy Sedan worth over $40,000! The winner can choose $10,000 CASH instead of the Chevy. The winner will receive a 1953 Chevrolet Delivery (“Custom Vehicle”) (estimated ARV US $45,000) or US$10,000.00 (“Cash Payment”).